Are you thinking about an audiovisual production or photographic shooting in the city? 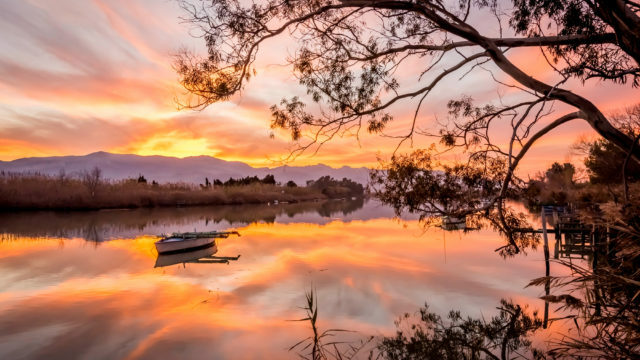 We discover locations with more than just landscapes and buildings. 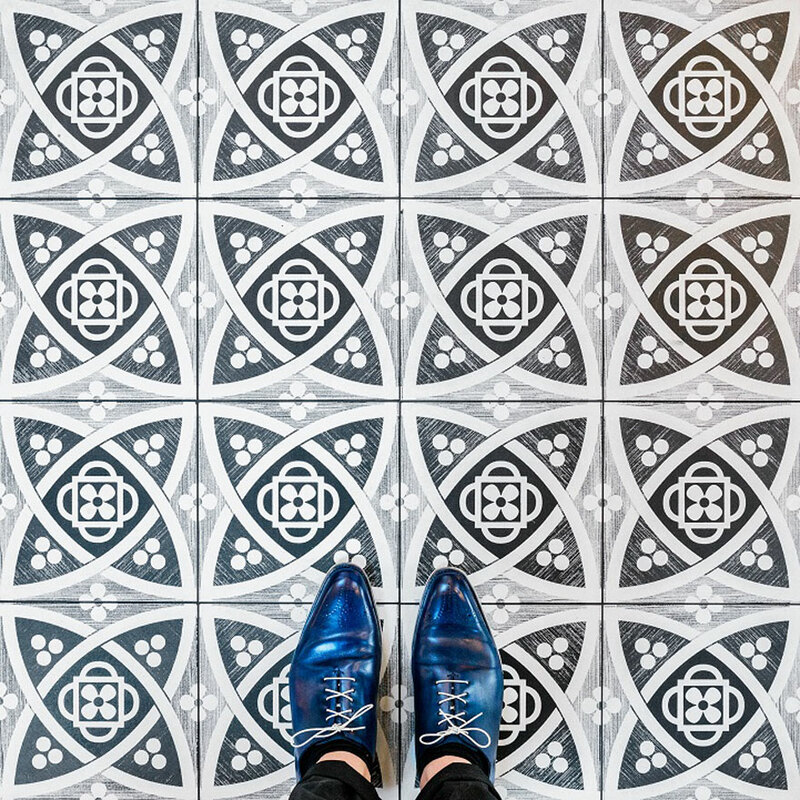 Sometimes it is better to focus on the ground. 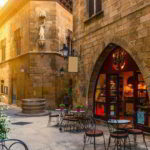 The architecture of the city of Barcelona makes us go down the street with the neck dislocated to lose no detail of the buildings but there is something that escapes us, what is under our feet? 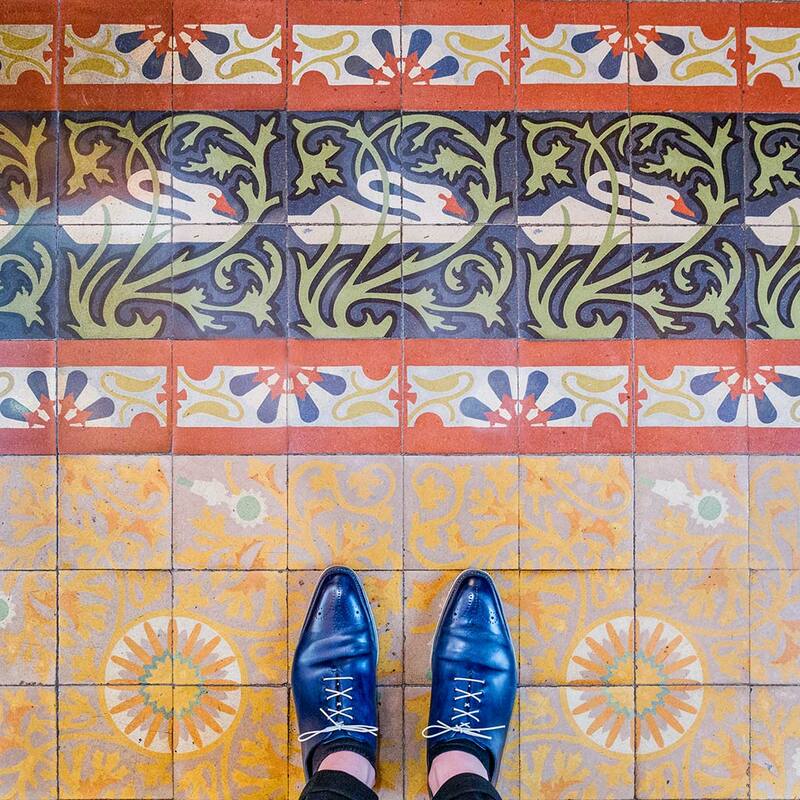 German photographer Sebastian Erras, specializing in interior photography and interested in capturing the ground that he steps on each trip, made a small compilation of several pavements of the city, in this article we show you some. 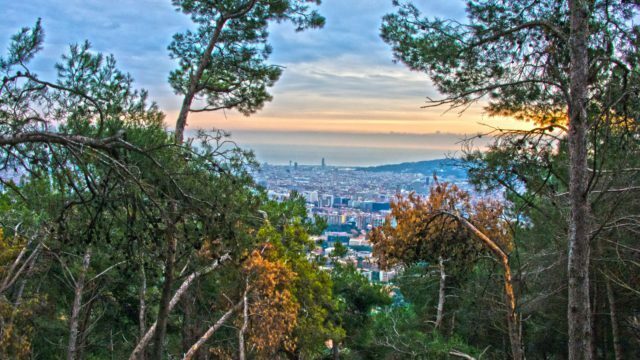 Do you want to take a walk with us for the best locations in Barcelona? 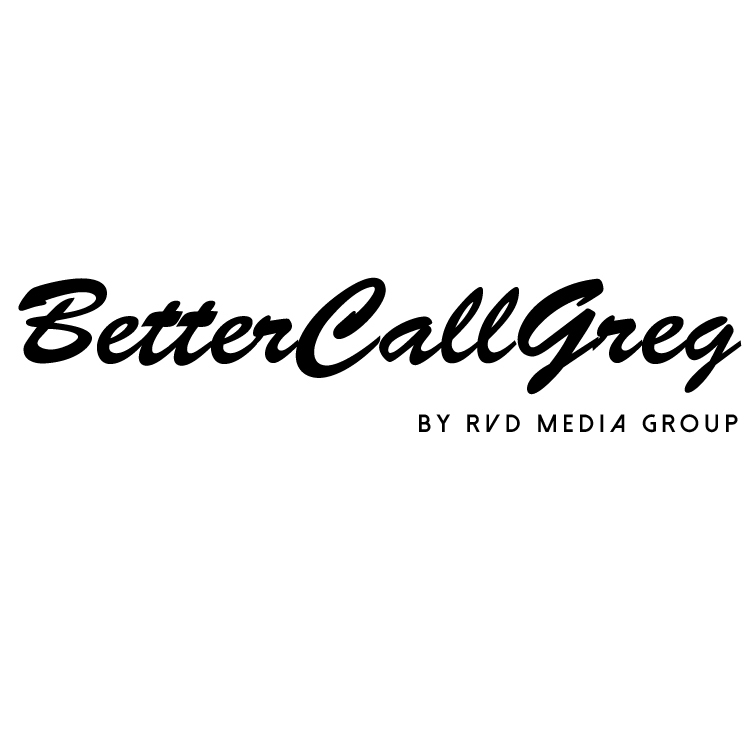 Request your personalized quote now! 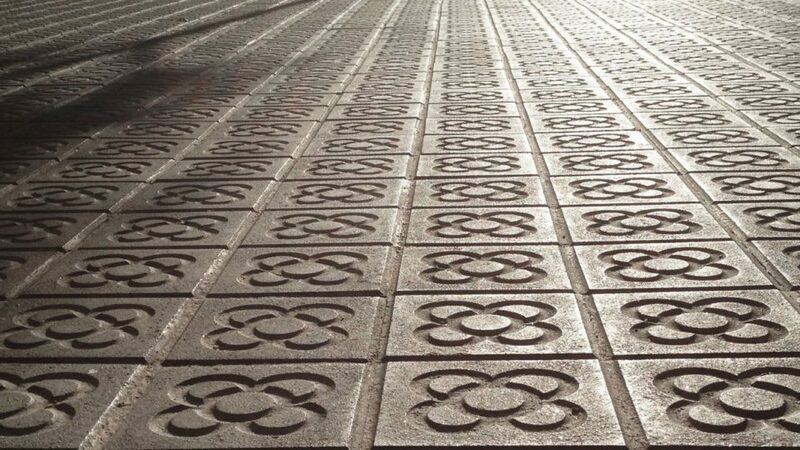 The most famous slabs of Barcelona were standardized in 1906 to homogenize the paving in the city and solve the mud problems. 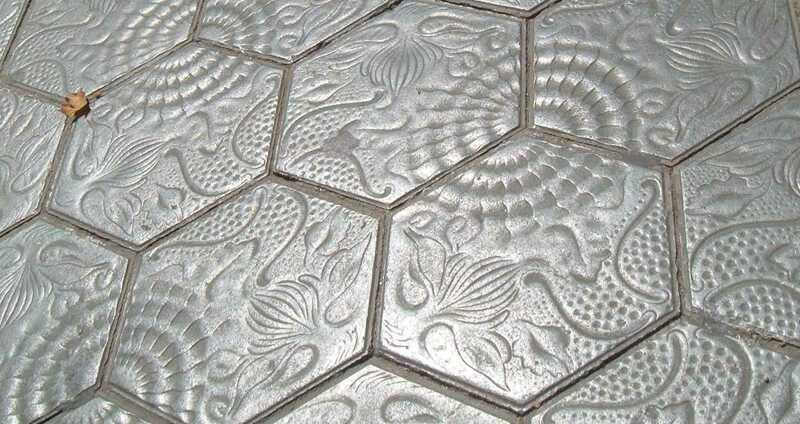 The “panot” (tile), is made of cement, sand and water. 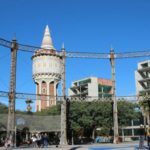 It is something that is part of the city of Barcelona and often goes unnoticed but it is a very important part of the whole of the city. They have a standard dimension of 20 x 20 cm and 4 cm in thickness. 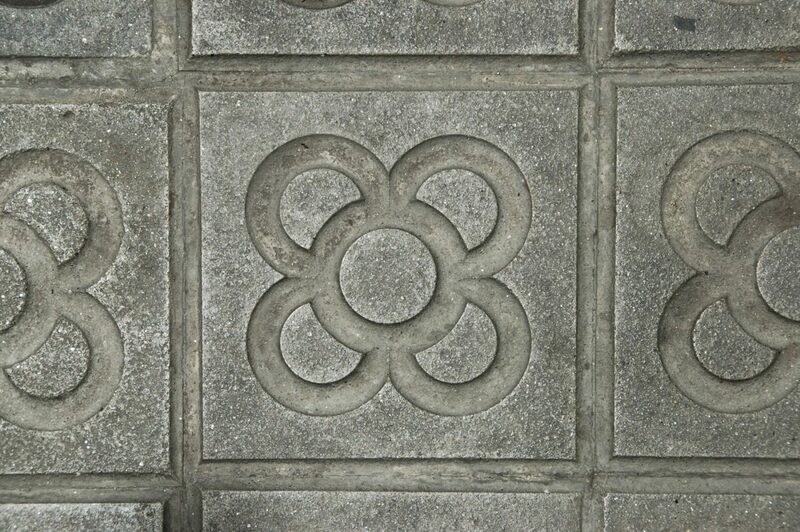 The Flower of Barcelona has become an icon of the city to mark the Route of Modernism. 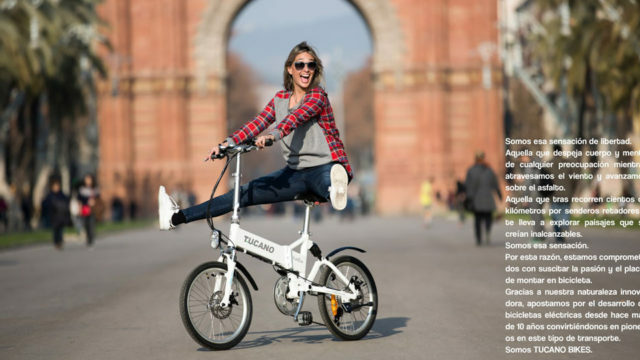 They appear in a multitude of audiovisual productions and photographic shootings without being seen… Now you will see them everywhere! 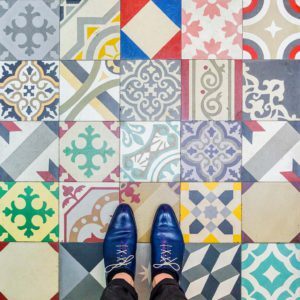 After the last works in the central Diagonal of Barcelona, they have begun to use new designed tiles denominated Diagonal. 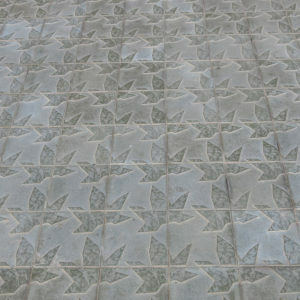 They are light gray with a greenish color and reproduce banana leaves, and are characteristic for many streets of the city. 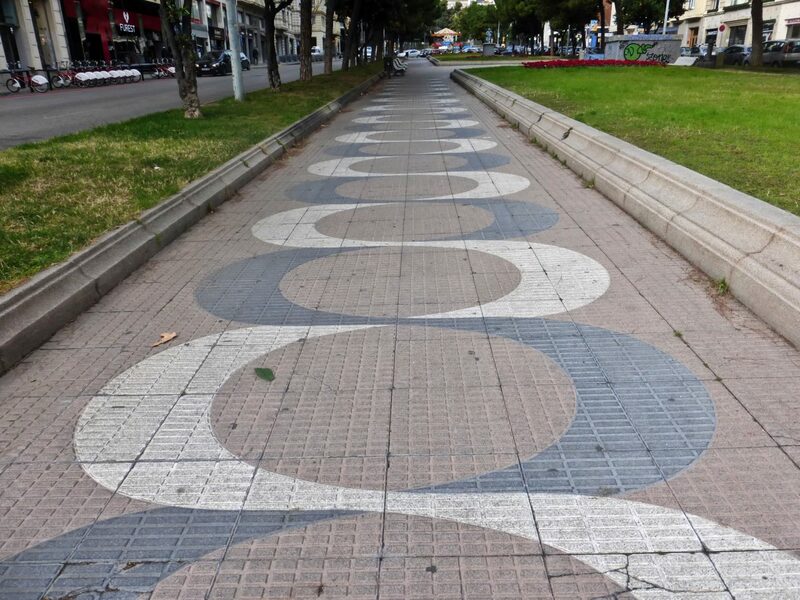 These pieces absorb the contamination and above repel the heat, they are the most anti-skid of all in Barcelona. 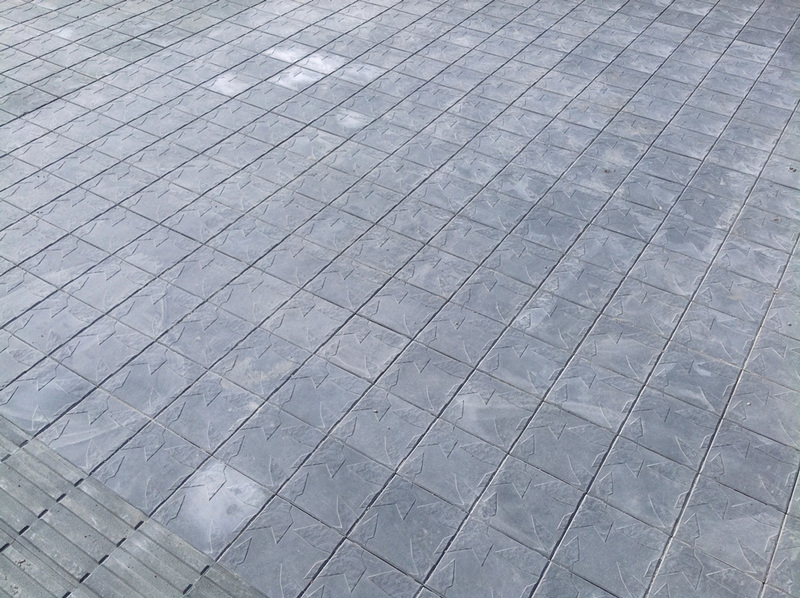 They have more resistance, are easier to clean and have less risk of slipping. If you want a new image of Barcelona for your audiovisual production or photographic shooting, the Diagonal is your site. 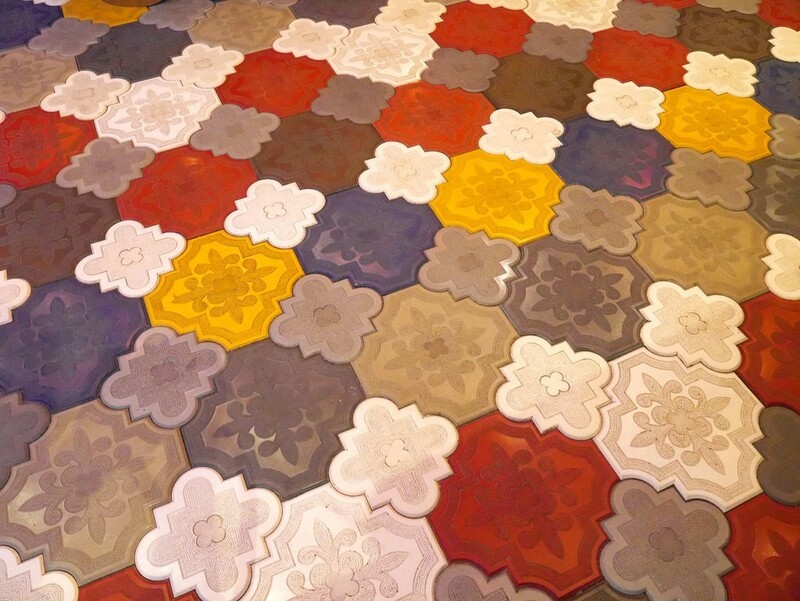 In Passeig de Gràcia we find another type of slabs, called Panot Gaudí, designed by Gaudí in 1904 for the interior of the Casa Batlló. Its design allows to make an infinite mosaic of marine elements. 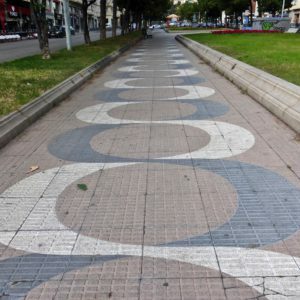 In homage to Gaudí, Barcelona paved in 1997 the Paseo de Gracia with a similar tile. 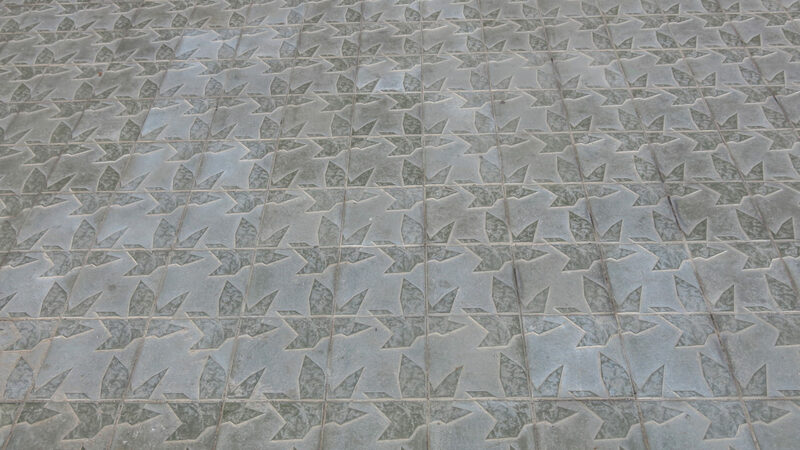 It has an hexagonal shape and the figures that appear in the relief of this tile remind the marine bottom with an octopus, a sea slug and a starfish. One of the most emblematic and most glamorous exterior locations in the city. 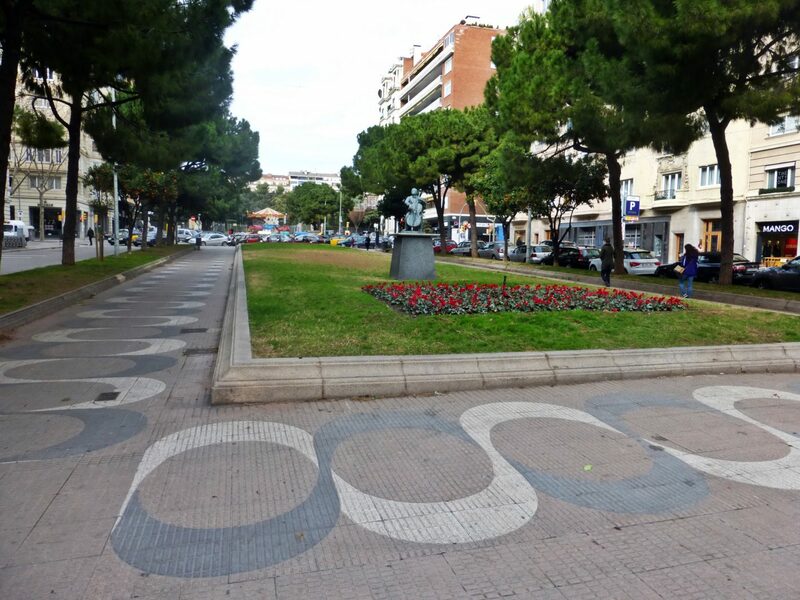 The pavement of the Gardens of the Avinguda of Pau Casals is very special. 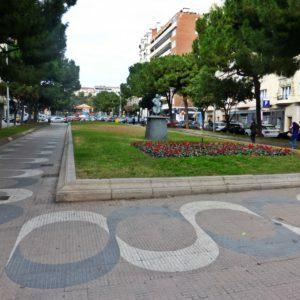 It is designed by the sculptor Subirachs in 1968 and can be seen in this street that is the entrance door to the Turó Park. An exterior location in the upper area of the city that will transport your productions and photographic shootings to the 70’s. 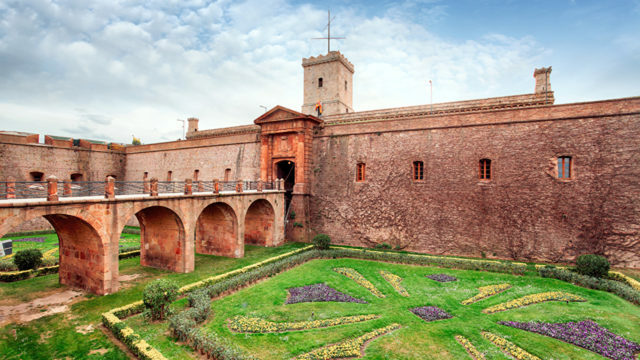 The Jardines del Mirador del Alcalde are located near the Castle of Montjuïc, and its location stands out for the exceptional view over Barcelona. 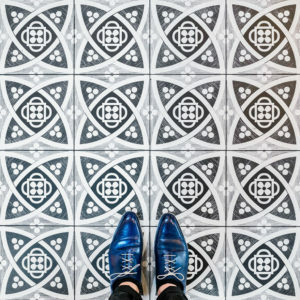 A mosaic paves most of the space. 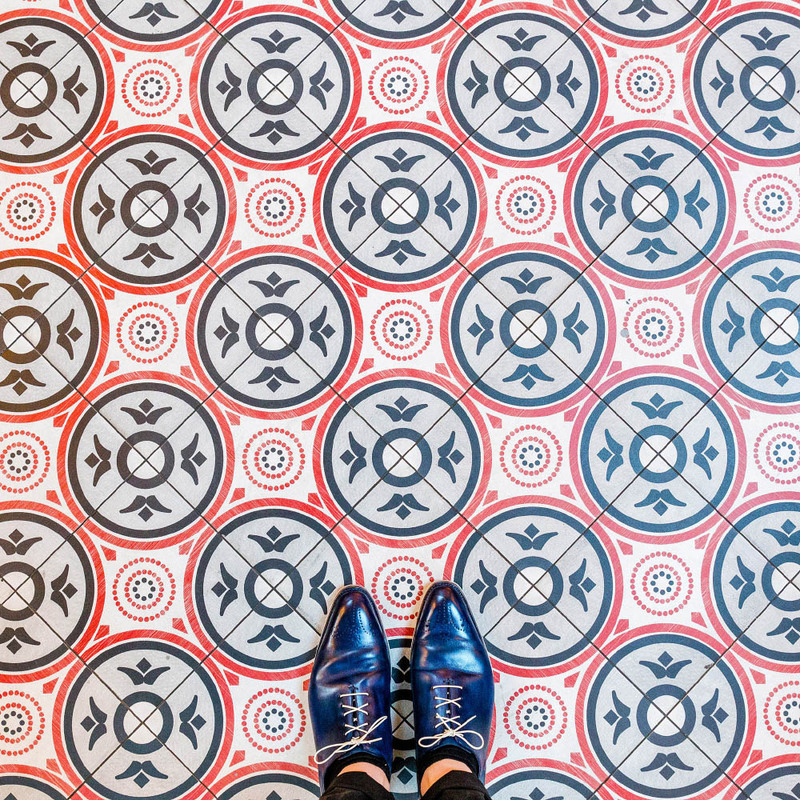 It is based on fragments of a multitude of materials and draws on the floor the different platforms on which the lookout is organized. 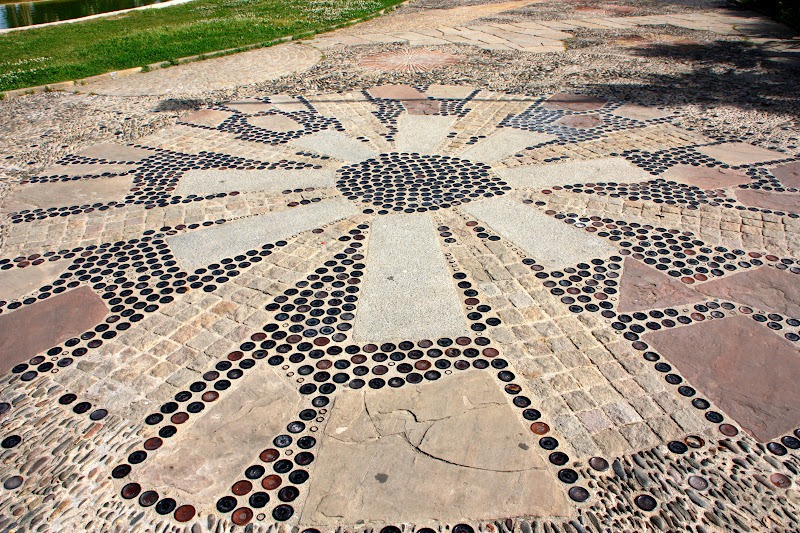 It is a pavement mosaic of 420 m2 designed by Joan Josep Tharrats. 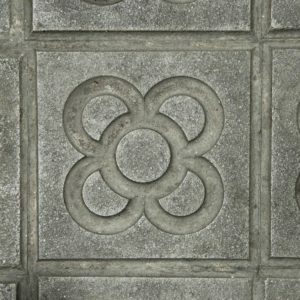 For its creation he used as varied and original materials as pebbles, cobblestones, tiles, tiles placed on the side, bottles, concrete pieces, iron pieces such as chains, cogwheels, filaments, screws and nuts and plates from dismantled machinery or fragments of covers of records, among others. 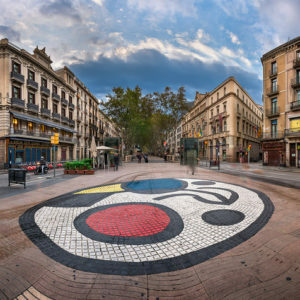 Pavim Miró is the mosaic of the artist Joan Miró that you will find in the Pla de l’Ós in the Rambla of Barcelona. 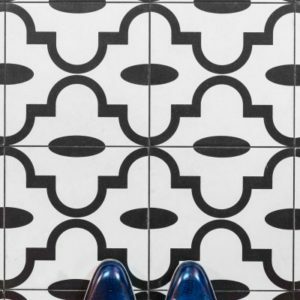 The work measures about 65 m2 and is composed of small tiles of terrazzo (10 by 10 centimeters) in five colors. It has a circular shape and shows an arrow in an upward direction, as indicating the visitor the way to enter the city. 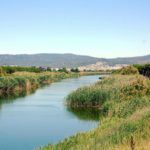 According to the same artist, the intention of the work is to greet the tourists who come from the sea and walk along the Rambla to enter the city. 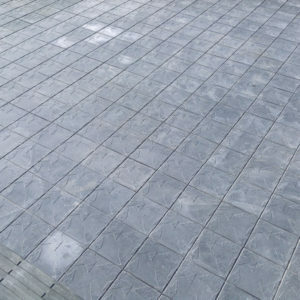 The slabs of the square are very characteristic. They are all different, so they had to make them to measure. 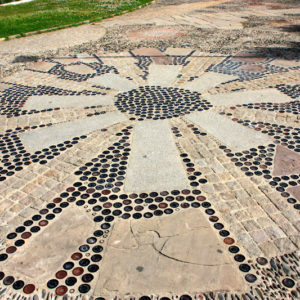 The pavement of the central zone has a drawing of a star framed in a large circle and includes the two large water dispensers that exist in this central square of the city of Barcelona. These 2 locations have been used several times in audiovisual productions or photographic shootings. 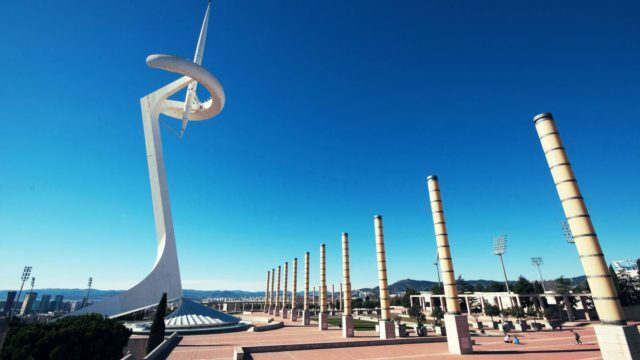 Do you want to use one of these locations in the city of Barcelona for your next project? Contact us and we will manage the permits. 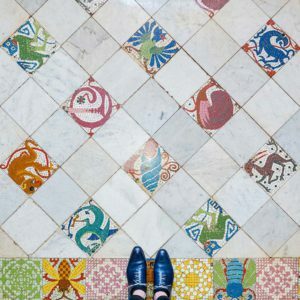 In Barcelona, you will find many mosaics made of a decorative tile of pigmented cement that was invented in the south of France in the mid-nineteenth century and that reached its maximum splendor during modernism. Most are in cafes, restaurants and public buildings. 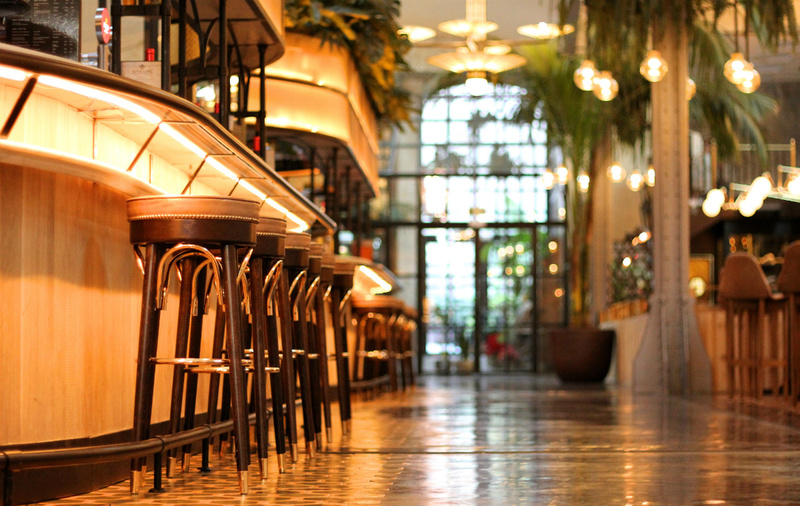 El Nacional restaurant in Barcelona occupies an impressive 1920s industrial building, renovated by Lázaro Rosa-Violán Studio, and is one of the oldest examples of industrial architecture preserved in the Barcelona Ensanche. 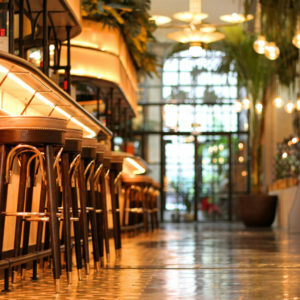 It is located in the heart of Paseo de Gracia and has an area of 2,600 square meters where you can eat with more than 700 persons at a time. There are many elements that have been maintained and restored: the pavement of hexagonal panels of the main entrance, the brass doors that give access to the meat kitchen, the lockers or even some of the posters that were in the ship. 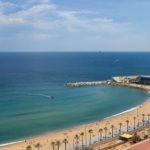 The Maritim is located next to the mythical Reial Club Marítim de Barcelona. 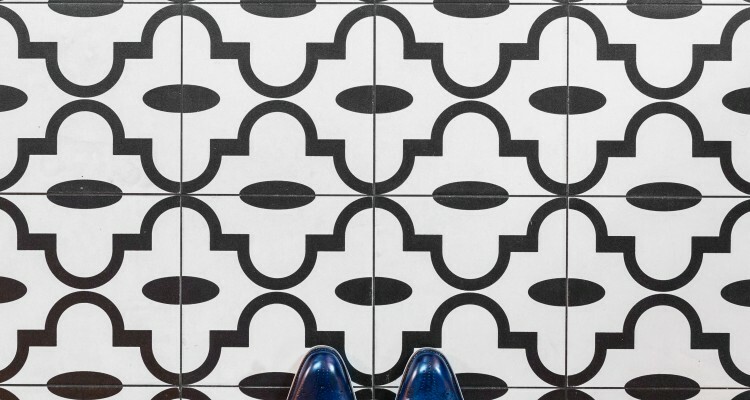 Designed by the interior designer Lázaro Rosa-Violán, Contemporain Studio, the decoration of this restaurant recalls the aesthetics of different Mediterranean paradises, where white predominates, with old wood on the floor and a reinterpretation of the mosaics of Gio Ponti in blue, and with nautical lamps. This fusion of materials, colours and concepts gives life to this restaurant with a lot of personality and character, an ideal location with a sailor touch for your shootings or audiovisual productions based on the sea. 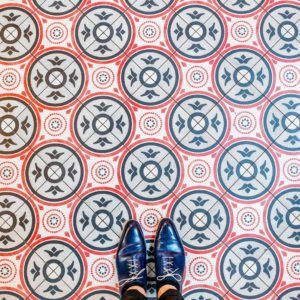 You will find inside the Generator Hostel located in the street Corsica of Barcelona a floor of colourful and different valances. Full of vivid colours for your photographic shootings or audiovisual productions with a lot of life. 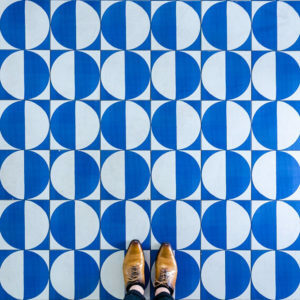 In Barcelona you will leave without words the floors of the Circle of the Lyceum. 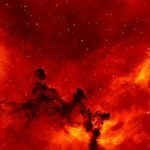 They show animal motifs such as swans, medieval monsters like dragons, and salamanders, monkeys or frogs. 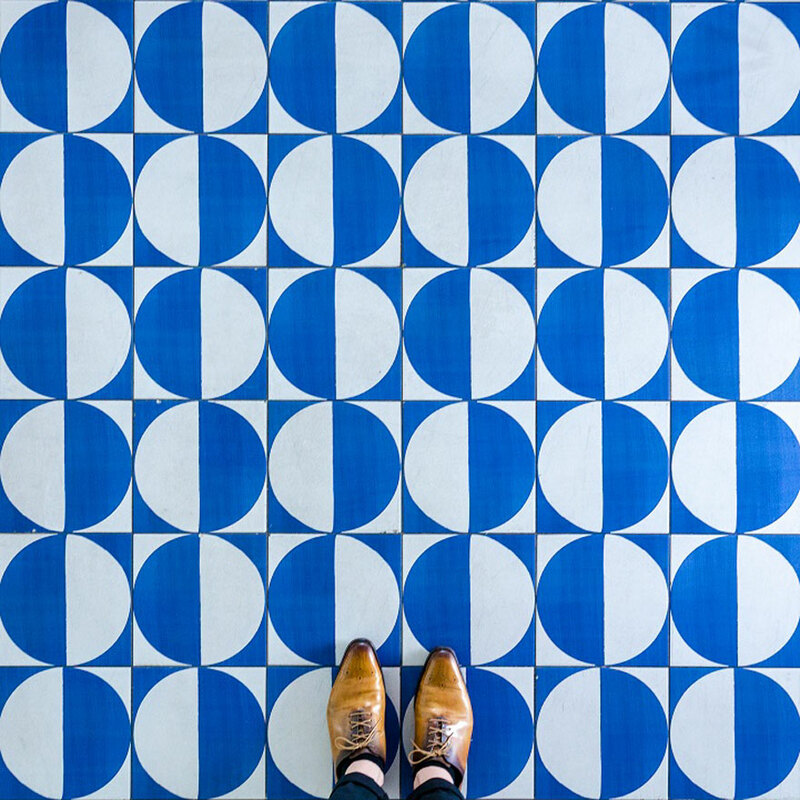 Elements that are a clear source of inspiration for modernist artists.